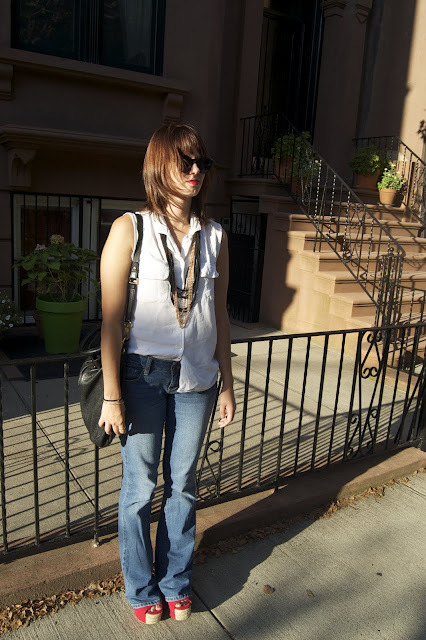 I was feeling pretty retro today in my flare jeans, my mom's old cut off shirt, my red foxy JC's and round sunglasses. I get this craving to wear high heels whenever I don't wear them for a long time. Is that weird or do you guys get that way too? Anyway I came home to a nice surprise. 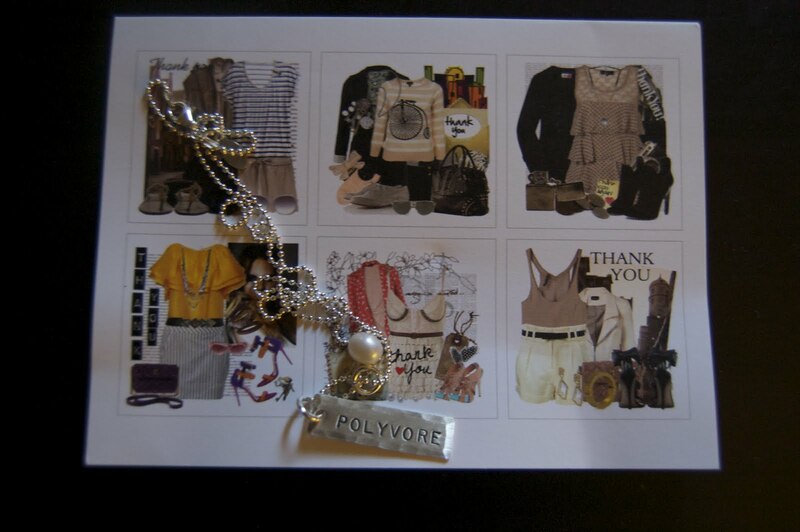 I got a thank you note and necklacec from Polyvore since thanks to them I was able to be featured in Lady Gunn's Magazine and since I use Polyvore ALL the time. The necklace is adorable! Polyvore name tag with a little pearl. I'm thinking of doing something similar except maybe with my blog name on it. Yay or Nay? those heels are FABULOUS, and you aren't the only one who gets the feeling that you need to wear them! congrats on the magazine feature, that necklace is so pretty! congrats on the feature.. and wow, your heels are awesome. love your outfit.. you look gorgeous! congrats on your feature!!! that's awesome!! 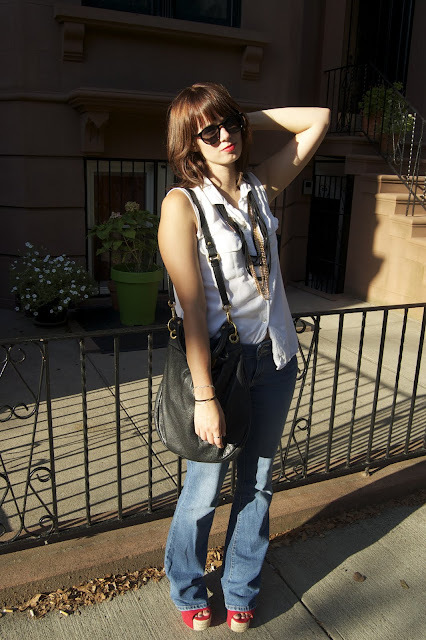 cute outfit, i'm totally seeing a retro hippy feel!